CloudWatch Logs require CloudWatch logs agent to be installed on the EC2 instances and on-premises servers. CloudWatch Logs agent makes it easy to quickly send both rotated and non-rotated log data off of a host and into the log service. CloudWatch Logs allows exporting log data from the log groups to an S3 bucket, which can then be used for custom processing and analysis, or to load onto other systems. Log data can be encrypted using an AWS KMS or customer master key (CMK). A log event is a record of some activity recorded by the application or resource being monitored. A log stream is a sequence of log events that share the same source for e.g. logs events from an Apache access log on a specific host. There is no limit on the number of log streams that can belong to one log group. Metric filters can be used to extract metric observations from ingested events and transform them to data points in a CloudWatch metric. Metric filters are assigned to log groups, and all of the filters assigned to a log group are applied to their log streams. Retention settings can be used to specify how long log events are kept in CloudWatch Logs. Expired log events get deleted automatically. Retention settings are assigned to log groups, and the retention assigned to a log group is applied to their log streams. log retention setting can be modified, so that any log events older than this setting are automatically deleted. can help log information about the DNS queries that Route 53 receives. A subscription filter defines the filter pattern to use for filtering which log events get delivered to the AWS resource, as well as information about where to send matching log events to. CloudWatch Logs allows searching and filtering the log data by creating one or more metric filters. Metric filters define the terms and patterns to look for in log data as it is sent to CloudWatch Logs. CloudWatch Logs uses these metric filters to turn log data into numerical CloudWatch metrics that can be put as graph or set an alarm on. Stream the log data into Amazon Elasticsearch in near real-time with CloudWatch Logs subscriptions. Set the threshold your application can tolerate in a CloudWatch Logs group and link a CloudWatch alarm on that threshold. Once a CloudWatch alarm is triggered, use SNS to notify the Senior DevOps Engineer. Deploy your web application as an AWS Elastic Beanstalk application. Use the default Elastic Beanstalk CloudWatch metrics to capture 500 Internal Server Errors. Set a CloudWatch alarm on that metric. Install a CloudWatch Logs Agent on your servers to stream web application logs to CloudWatch. Use Amazon Simple Email Service to notify an on-call engineer when a CloudWatch alarm is triggered. Create a CloudWatch Logs group and define metric filters that capture 500 Internal Server Errors. Set a CloudWatch alarm on that metric. 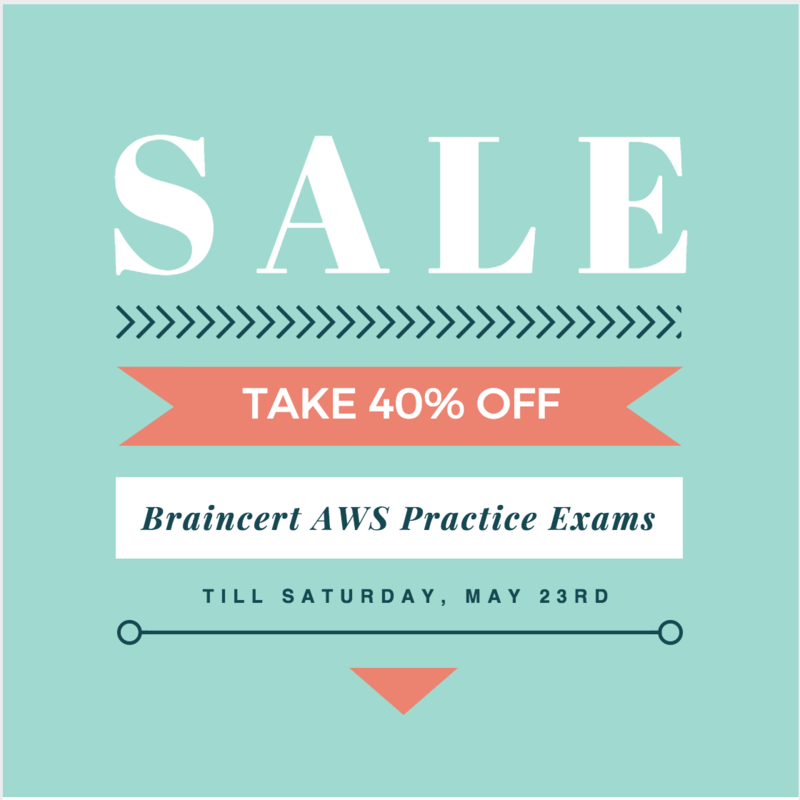 Use Amazon Simple Notification Service to notify an on-call engineer when a CloudWatch alarm is triggered. Use AWS Data Pipeline to stream web application logs from your servers to CloudWatch. 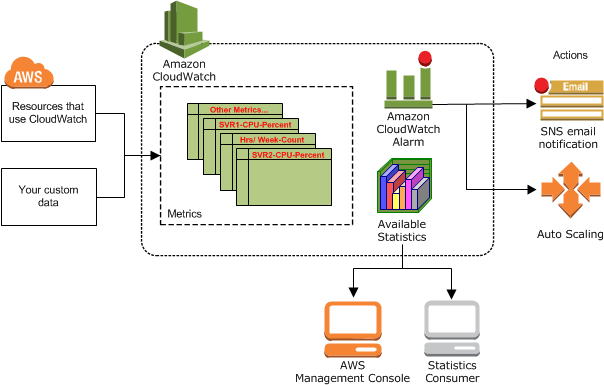 AWS CloudWatch monitors AWS resources and applications in real-time. CloudWatch can be used to collect and track metrics, which are the variables to be measured for resources and applications. CloudWatch provides system-wide visibility into resource utilization, application performance, and operational health. Metric is the fundamental concept in CloudWatch. Represents a time-ordered set of data points published to CloudWatch. Statistics can be retrieved about those data points as an ordered set of time-series data that occur within a specified time window. When the statistics are requested, the returned data stream is identified by namespace, metric name, dimension, and (optionally) the unit. Metrics cannot be deleted, but they automatically expire in 14 days if no new data is published to them. One minute data points are available for 15 days. Five minute data points are available for 63 days. One hour data points are available for 455 days (15 months). CloudWatch namespaces are containers for metrics. Metrics in different namespaces are isolated from each other, so that metrics from different applications are not mistakenly aggregated into the same statistics. Namespace names must be fewer than 256 characters in length. A dimension is a name/value pair that uniquely identifies a metric. Every metric has specific characteristics that describe it, and you can think of dimensions as categories for those characteristics. Dimensions helps design a structure for the statistics plan. A metric can be assigned up to ten dimensions to a metric. Time stamp can be up to two weeks in the past and up to two hours into the future. If no time stamp is provided, CloudWatch creates a time stamp based on the time the data element was received. Period is the length of time associated with a specific statistic. Each statistic represents an aggregation of the metrics data collected for a specified period of time. Although periods are expressed in seconds, the minimum granularity for a period is one minute. CloudWatch aggregates statistics according to the period length specified in calls to GetMetricStatistics. Multiple data points can be published with the same or similar time stamps. CloudWatch aggregates them by period length when the statistics about those data points are requested. Aggregated statistics are only available when using detailed monitoring. CloudWatch does not aggregate data across regions. Alarm watches a single metric over a specified time period, and performs one or more actions based on the value of the metric relative to a given threshold over a number of time periods. After an alarm invokes an action due to a change in state, its subsequent behavior depends on the type of action associated with the alarm. For Auto Scaling policy notifications, the alarm continues to invoke the action for every period that the alarm remains in the new state. For SNS notifications, no additional actions are invoked. Alarms exist only in the region in which they are created. Alarm history is available for the last 14 days. Alarm can be tested by setting it to any state using the SetAlarmState API (mon-set-alarm-state command). This temporary state change lasts only until the next alarm comparison occurs. Alarms can be disabled and enabled using the DisableAlarmActions and EnableAlarmActions APIs (mon-disable-alarm-actions and mon-enable-alarm-actions commands). CloudWatch does not aggregate data across regions. Therefore, metrics are completely separate between regions. Creating a new metric using the put-metric-data command, can take up to two minutes before statistics can be retrieved on the new metric using the get-metric-statistics command and can take up to fifteen minutes before the new metric appears in the list of metrics retrieved using the list-metrics command. to have statistics such as minimum and average to include data points with the value 0. A user is running a batch process on EBS backed EC2 instances. The batch process starts a few instances to process Hadoop Map reduce jobs, which can run between 50 – 600 minutes or sometimes for more time. The user wants to configure that the instance gets terminated only when the process is completed. How can the user configure this with CloudWatch? A user has two EC2 instances running in two separate regions. The user is running an internal memory management tool, which captures the data and sends it to CloudWatch in US East, using a CLI with the same namespace and metric. Which of the below mentioned options is true with respect to the above statement? A user is having data generated randomly based on a certain event. The user wants to upload that data to CloudWatch. It may happen that event may not have data generated for some period due to randomness. Which of the below mentioned options is a recommended option for this case? A user has a weighing plant. The user measures the weight of some goods every 5 minutes and sends data to AWS CloudWatch for monitoring and tracking. Which of the below mentioned parameters is mandatory for the user to include in the request list? A user has launched an EC2 instance. The user is planning to setup the CloudWatch alarm. Which of the below mentioned actions is not supported by the CloudWatch alarm? A user has setup a CloudWatch alarm on an EC2 action when the CPU utilization is above 75%. The alarm sends a notification to SNS on the alarm state. If the user wants to simulate the alarm action how can he achieve this? Check your CloudTrail log history around the spike’s time for any API calls that caused slowness. Review your ELB access logs in S3 to see if any ELBs in your system saw the latency. Analyze your logs to detect bursts in traffic at that time. 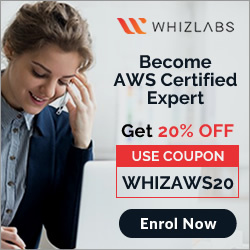 You have a high security requirement for your AWS accounts. What is the most rapid and sophisticated setup you can use to react to AWS API calls to your account? Subscription to AWS Config via an SNS Topic. Use a Lambda Function to perform in-flight analysis and reactivity to changes as they occur. Global AWS CloudTrail setup delivering to S3 with an SNS subscription to the deliver notifications, pushing into a Lambda, which inserts records into an ELK stack for analysis. Use a CloudWatch Rule ScheduleExpression to periodically analyze IAM credential logs. Push the deltas for events into an ELK stack and perform ad-hoc analysis there. To monitor API calls against our AWS account by different users and entities, we can use ____ to create a history of calls in bulk for later review, and use ____ for reacting to AWS API calls in real-time. Run another monitoring instance that pings the monitoring instance and fires a could watch alarm mat notifies your operations team should the primary monitoring instance become unhealthy. Have the monitoring instances post messages to an SOS queue and then dequeue those messages on another instance should the queue cease to have new messages, the second instance should first terminate the original monitoring instance start another backup monitoring instance and assume (the role of the previous monitoring instance and beginning adding messages to the SQS queue. CloudWatch offers either basic or detailed monitoring for supported AWS services. Basic monitoring means that a service sends data points to CloudWatch every five minutes. Detailed monitoring means that a service sends data points to CloudWatch every minute. Auto Scaling sends data to CloudWatch every 5 minutes by default, when created from Console. For an additional charge, you can enable detailed monitoring for Auto Scaling, which sends data to CloudWatch every minute. Amazon CloudFront sends data to CloudWatch every minute by default. Amazon CloudSearch sends data to CloudWatch every minute by default. Amazon CloudWatch Events sends data to CloudWatch every minute by default. Amazon CloudWatch Logs sends data to CloudWatch every minute by default. Amazon DynamoDB sends data to CloudWatch every minute for some metrics and every 5 minutes for other metrics. Amazon EC2 Container Service sends data to CloudWatch every minute. Amazon ElastiCache sends data to CloudWatch every minute. Amazon Elastic Block Store sends data to CloudWatch every 5 minutes. Provisioned IOPS SSD (io1) volumes automatically send one-minute metrics to CloudWatch. Amazon EC2 sends data to CloudWatch every 5 minutes by default. For an additional charge, you can enable detailed monitoring for Amazon EC2, which sends data to CloudWatch every minute. Elastic Load Balancing sends data to CloudWatch every minute. Amazon Elastic MapReduce sends data to CloudWatch every 5 minutes. Amazon Elasticsearch Service sends data to CloudWatch every minute. Amazon Kinesis Streams sends data to CloudWatch every minute. Amazon Kinesis Firehose sends data to CloudWatch every minute. AWS Lambda sends data to CloudWatch every minute. Amazon Machine Learning sends data to CloudWatch every 5 minutes. AWS OpsWorks sends data to CloudWatch every minute. Amazon Redshift sends data to CloudWatch every minute. Amazon Relational Database Service sends data to CloudWatch every minute. Amazon Route 53 sends data to CloudWatch every minute. Amazon Simple Notification Service sends data to CloudWatch every 5 minutes. Amazon Simple Queue Service sends data to CloudWatch every 5 minutes. Amazon Simple Storage Service sends data to CloudWatch once a day. Amazon Simple Workflow Service sends data to CloudWatch every 5 minutes. AWS Storage Gateway sends data to CloudWatch every 5 minutes. AWS WAF sends data to CloudWatch every minute. Amazon WorkSpaces sends data to CloudWatch every 5 minutes. What is the minimum time Interval for the data that Amazon CloudWatch receives and aggregates? In the ‘Detailed’ monitoring data available for your Amazon EBS volumes, Provisioned IOPS volumes automatically send _____ minute metrics to Amazon CloudWatch. Using Amazon CloudWatch’s Free Tier, what is the frequency of metric updates, which you receive? What is the type of monitoring data (for Amazon EBS volumes) which is available automatically in 5-minute periods at no charge called? A user has created an Auto Scaling group using CLI. The user wants to enable CloudWatch detailed monitoring for that group. How can the user configure this? A user is trying to understand the detailed CloudWatch monitoring concept. Which of the below mentioned services provides detailed monitoring with CloudWatch without charging the user extra? A user has enabled detailed CloudWatch monitoring with the AWS Simple Notification Service. Which of the below mentioned statements helps the user understand detailed monitoring better?